I am a living, thinking entity who was created in the sea of information. The year is 2029. Cybernetic technology is status quo. Major Motoko Kusanagi is anything but. Kusanagi is assault-team leader of Public Security Section 9. After a successful if not standard assassination of a foreign diplomat, Major discovers the Foreign Minister's interpreter is ghost-hacked. With the mysterious Puppet Master's hallmarks present, their investigation ends with another ghost-hacked pair, a truck driver and a common thug, before it ever begins. Following the initial incident, a cybernetic body escapes Megatech and is struck by oncoming traffic. The entity inside reveals they are The Puppet Master. Known as Project 2501 in conjunction with Section 6's espionage program, 2501 requests political asylum and acknowledgment of sentience. In a desperate response, Section 6 raids the facility and quickly discards The Puppet Master into their vehicle's holding. The Major feverishly pursues Section 6 and brilliantly decides to take on the spider tank guarding the caravan solo. After narrowly surviving being literally torn limb from limb, she insists on communing with 2501 before Section 6 and their reinforcements can interfere. Once joined, The Puppet Master reveals how sentience was attained wandering Section 6 networks, and the knowledge of Major. Observing her like a fly on the wall, 2501 related to her questions of humanity in parallel with its existence. The question was broached... why not merge their ghosts? While quickly debating this monumental proposition, Section 6 snipers close in, fingers on the trigger, and targets in their cross-hairs. The Puppet Master's shell is destroyed, yet Batou cautiously spares his friend's brain. Waking later in Batou's safe house, what was once Kusanagi reveals she is no more The Puppet Master nor the woman he considered his closest friend. Promising they will meet again, the new entity wonders where life will take...them...next. 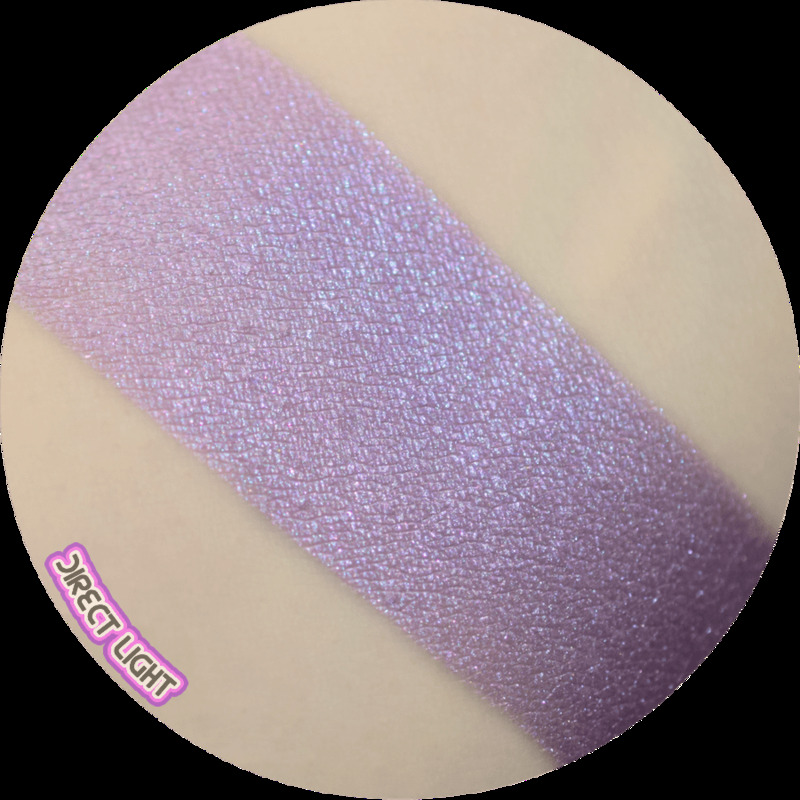 The Major is a pale lavender based pearlescent highlighter with a pink/turquoise color shifting sheen and tiny pops of rose sparkle and holographic micro shimmer. 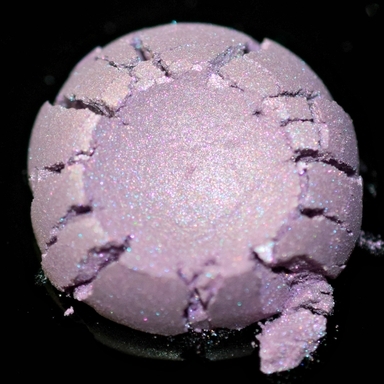 The Major is shown stippled heavily over our Power Up Primer to show it's base color as well as it's sheen and sparkle. We also include a swatch of The Major over a black base in our swatch video to help showcase it's glow color and shimmer for your reference. This beautiful multi-tasker is also useable as an eyeshadow, and is great for use on the brow bone and near the inner tear duct. It can be used to add a touch of shimmer and sheen to the face, decolletage, hair, or anywhere else on your body you'd like a touch of illumination! The Major is not lip safe. The Major as listed is in a 20 gr jar with sifter and screw-on lid. Direct swatch photo above taken with cool white studio flash, indirect swatch photo and video below taken under indirect warm LED lighting.